The eponymous Vieux Manor is old indeed, dating back to the 11th century. Many Bordeaux families have lived and made wine out of the Château, but it was the Ballande family who restored it and the vineyards to their former grandeur in 1989. This blend of Merlot (60%), Cabernet Sauvignon (35%), and Cabernet Franc (5%) comes from vineyards with an average age of thirty years. 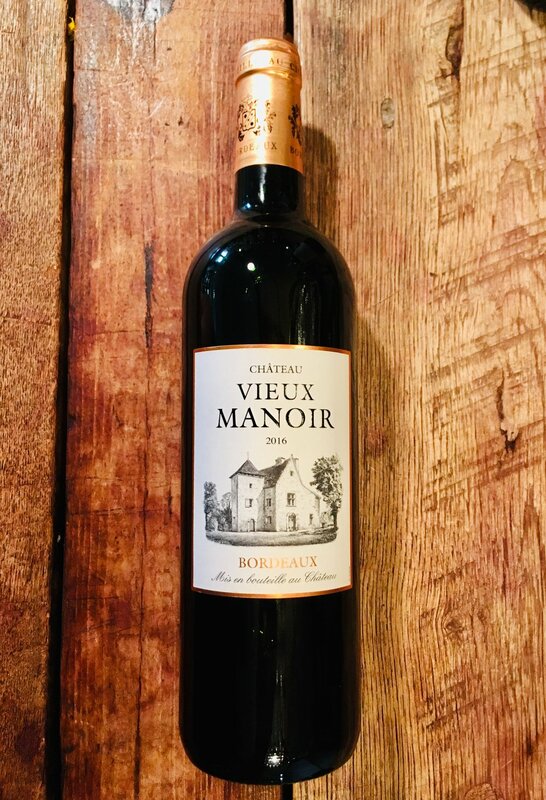 Traditional vinification and cool fermentation makes this classic Bordeaux blend a fruit-forward, easy-drinking delight. Supremely flexible for all your spring-time meals. Buy a case and use it as a house red through the summer.